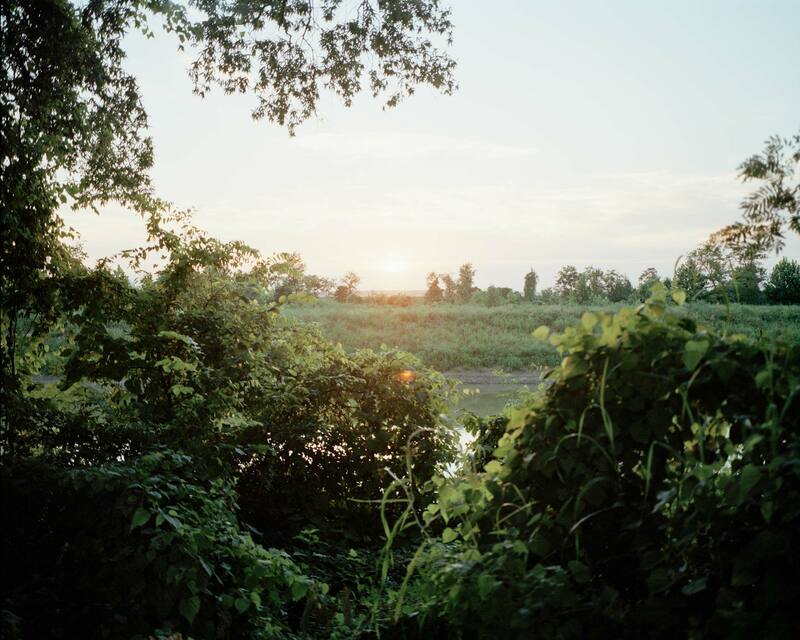 Bank of the Tallahatchie River, Money, Mississippi, 2007 In August 1955, Emmett Till, a fourteen-year-old boy from Chicago, was dragged from his uncle’s cabin in Money, Mississippi, beaten, shot, and dumped in the Tallahatchie River by two men who accused him of whistling at a white woman in a store. Till’s body, which had been weighed down by a cotton-gin fan, was found in the river three days later. Roy Bryant and J.W. Milam were acquitted of murder by an all-white jury in 1955 but later confessed to LOOK magazine. Both men have died, but the Justice Department reopened the case in 2004 to investigate whether anyone else had been involved. No new charges were brought, and the case was closed.